Car designers know this too, which is why you see meaner, more aggressive faces in trucks and sports cars, and milder, more friendly faces in SUVs and family vehicles. Anyone who has seen the Cars movies knows that not only do the faces match the cars’ personalities (think of Lighting McQueen and Mater), but their names do as well. Cars really do resemble people. Our brains cannot help but anthropomorphize them. It’s a psychological phenomenon called pareidolia. So why shouldn’t they be given names? Besides, it’s your chance to go crazy with names that you might not otherwise use for your children or pets. So, What Should I Name My Car? “Box with Wheels” and “Mr. Car” won’t work. Sure, you can call it that, but you’re probably looking for something a bit more creative. Since naming your car is a big decision that you’ll live with for a long time, don’t rush it. What does your car look like? This is the biggest factor to take into consideration. Does it look like a boy or a girl? Old or young? Is it a sports car, a large car, a classic car, or a new car? Think of any distinctive character traits that it has. Does it make a lot of noise or barely none at all? Is it large or small? No matter what make or model you have, you can find something that will help you in the naming process. In fact, that’s how the Volkswagen “Beetle” got its name. The car was originally just called Volkswagen, but the obvious resemblance to a beetle or bug gave it its lasting nickname. You don’t want to name your car Lighting, Dash, or Speedy if you are the kind of person who likes to take it slow. If you are shy, think of a more laidback name. If you are an extrovert, a quirkier name will be more suitable. Are you a history buff or a big fan of a certain sports team, movie director, or author? Get creative! Just make sure the name matches your personality as well. 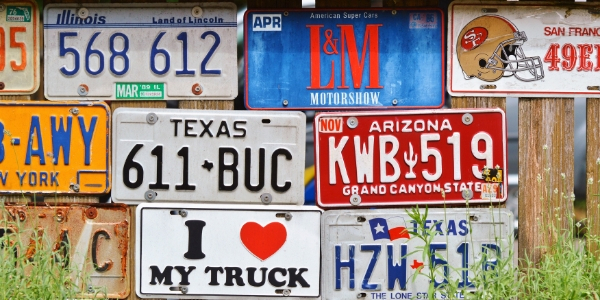 The letters in your license plate might give you a good idea for a name. For instance, if your license plate has the letters SDE, you might want to call it Sadie. MDN could be Madonna. You get the idea. It’s also a great mnemonic for remembering your license plate. The color of your car can put you in the right direction. These movie, book, video game, and myth-inspired names can also work for children and pets. You can also look at various card games for inspiration, such as Pokémon, Yu-Gi-Oh, and Magic: The Gathering. Naming your car should be an enjoyable experience. You’ll look back fondly on the day when it clicked and you found the perfect name for your new baby. Previous PostFamily-Friendly New Year’s Eve Events Around ChattanoogaNext PostWhat Popular Ride-Share App is Best?